Summertime weather has been awesome this past week on the Treasure Coast! Temperatures ranged to almost 90 degrees on some days with light winds and an awesome bite on the river. We have had lots of exciting action and lots of smiling faces to show for it! Expect the winds to start again soon and a few more cold fronts to arrive each week as winter continues with mild conditions. It has been lots of fun this week! 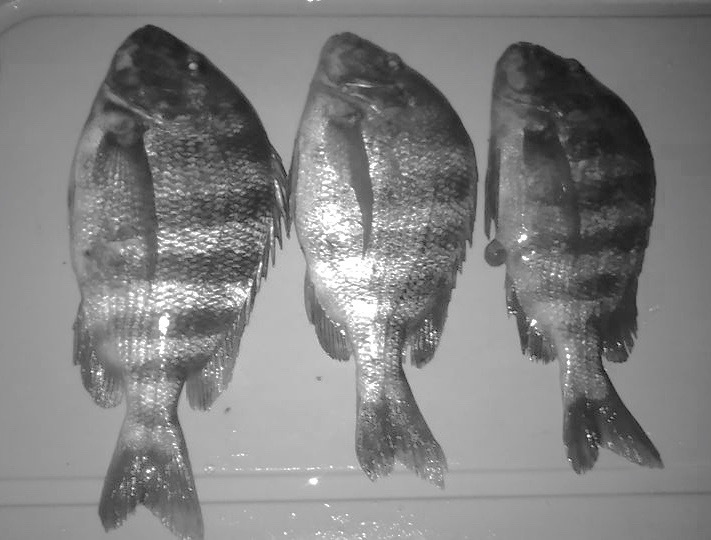 Sheepshead has been the outstanding bite this week. We caught well over 150 sheepshead in three days this week and over half were over 12". It was non-stop action just about every day this week. Redfish and pompano have been our other species that made for some awesome days fishing for my clients. The redfish have come from fishing docks around the area. There are some nice slots out there! DOA shrimp or live bait are great choices. Pompano have been scattered, but the ones we have found are in four feet of water or deeper on the grass flats. There are lots of jigs that work for pompano this time of year. Doc's Goofy Jigs and the 2.75 DOA shrimp are great lures for pomps. The snook bite has been good around the bridges and jetties at night lately. Have a great time enjoying the fishing!